A Jewish American businessman who was killed when Islamic extremists launched an assault at an upscale hotel complex in Nairobi, Kenya on Tuesday was a survivor of the Sept. 11, 2001 terror attacks and was “was trying to make positive change in the third world country”, his family said. 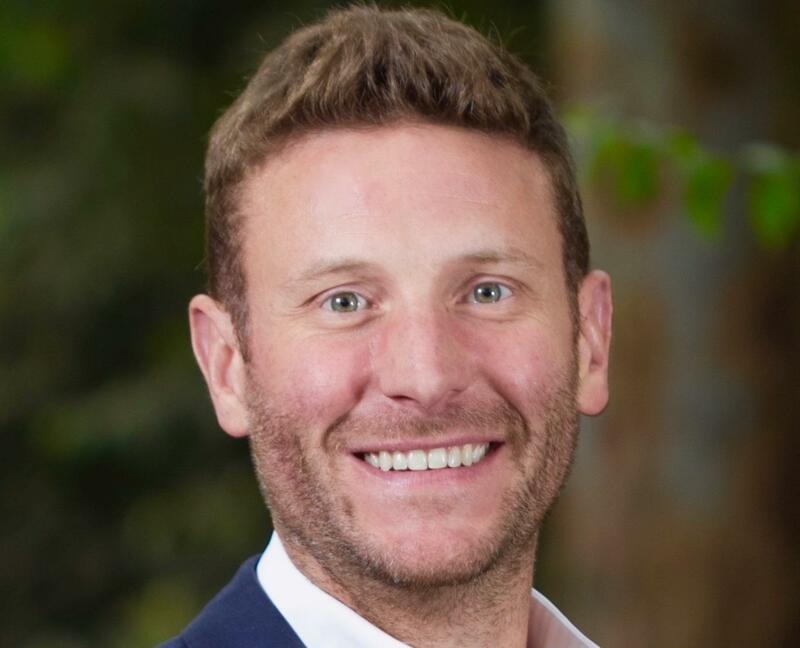 Jason Spindler was among 21 people killed when explosions and gunfire erupted in the DusitD2 hotel complex (see full timeline of the attack in extended article), which includes bars, restaurants, offices and banks in the Kenyan capital, said I-DEV International, the San Francisco based company he co-founded. 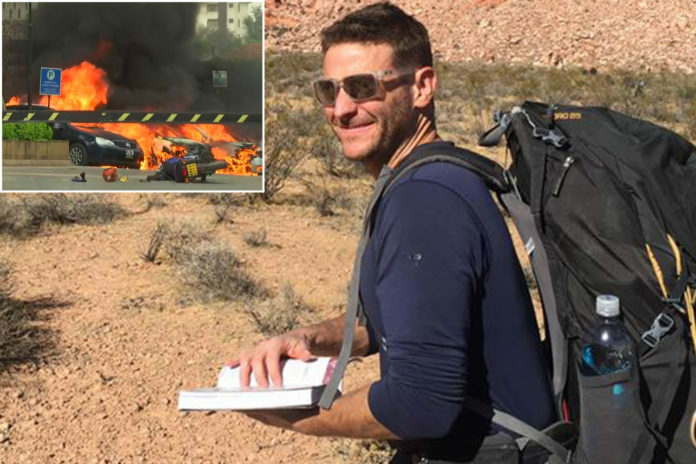 His brother, Jonathan Spindler, confirmed the death on Facebook and said the 40-year-old was a survivor of the 9/11 attacks. Splinder escaped 9/11 with his life after the building he was working in – Building 7 – collapsed as a result of debris from the North Tower plane strike. In an addition to the American victim, there was one British, 16 Kenyan and three of African descent but their nationalities were not yet identified, police said. Al-Shabab — the Islamic extremist group allied to al-Qaida and based in neighboring Somalia — claimed responsibility for the carnage. Al-Shabab carried out a 2013 attack at the nearby Westgate Mall in Nairobi that killed 67 people. Security footage showed at least four heavily armed men in military-style garb took part in the attack. Spindler’s father, Joseph, says his son grew up in Houston, was a University of Texas business graduate and received a doctoral law degree at New York University. He was enjoying a successful career on Wall Street when he decided that he wanted to develop a model for helping low-income people. Jason Spindler entered the Peace Corps and lived in Peru, where he developed sustainable business models for rural residents. He had been living in Kenya the last 5 years, and often ate at a cafe in the luxury hotel complex targeted by the gunmen. He was attending a work meeting when he was fatally shot by the terrorists. Spindler’s friends have contacted the American embassy and the head of the Jewish community in Nairobi, Rabbi Silverstein, regarding the repatriation of his body back to the United States, Ynet reports. Sarah Spindler, Jason’s mother, said her son worked toward making a positive change in the developing countries. “We all miss him so much. And it’s so sad that such a bright young person is taken away by terrorism,” Sarah Spindler told NBC News. Kenya’s President Uhuru Kenyatta said in a televised address to the nation: “We will seek out every person that was involved in the funding, planning and execution of this heinous act,” while also announcing that the all-night operation by security forces to retake the DusitD2 complex was over. It began with cars exploding and several armed young men, wrapped in ammunition belts, sauntering onto the scene. It was declared over nearly 20 hours later with at least 14 people killed, 700 people evacuated and the Islamic extremist attackers “eliminated.” Overnight, scores of frightened people hid in washrooms, offices and elsewhere as gunfire popped and security forces hunted the gunmen. Here’s a rough timeline of what occurred in the deadly attack on a luxury hotel complex in Kenya’s capital. Reports begin to spread of an explosion and gunfire at the Riverside Drive complex, which includes a hotel, shops, restaurants and offices in Nairobi’s upscale Westlands neighborhood. Several cars are ablaze in a parking lot as security forces stream in and people run or are carried from the scene. Police quickly call it a terror attack. Kenya’s national police chief says special forces are trying to flush out the attackers and look forward to “bringing the situation to normalcy in the shortest time possible.” Kenyans watch the police response closely after officers took hours to respond to a deadly attack on the nearby Westgate Mall in 2013. A Kenyan police officer among the first responders says “there was no time to count the dead,” with bodies seen in restaurants downstairs and in offices upstairs. Gunfire continues. Kenya’s interior minister says all buildings have been secured and security forces are in the final stages of “mopping up.” There is still no official toll of dead or wounded. 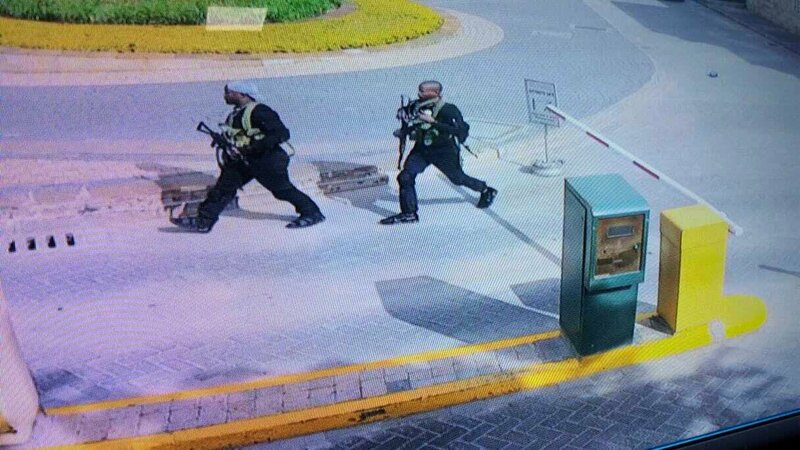 Kenya’s Citizen TV airs what it calls surveillance footage that shows four attackers, young men in ammunition bandoliers, splitting up as they calmly walk across an outdoor area of the complex. Kenya’s interior ministry says “no further threat to the public exists” and that civilians who had been “secured” in one building have been safely evacuated. A new blast is heard at the complex, 24 hours after the attack began. Witnesses say security forces are conducting a painstaking sweep for any explosives the attackers left behind in a final attempt at carnage. While U.S. air strikes and African Union forces have degraded Al-Shabab’s ability to operate, it is still capable of carrying out spectacular attacks in retaliation for the Kenyan military’s campaign against it in Somalia.